A Permanent Account Number (PAN) card is a basic requirement for entering into any financial transactions in our nation. This unique 10 digit alpha-numeric number is assigned to all the individuals by the Tax authorities of India. PAN is required in investing in mutual funds, filing Income Tax returns, opening a bank account etc. and it’s also required if you want to invest in shares. You can’t directly go to the stock exchange and buy/sell stocks or shares, there are certain authorized people to do this job and they are known as brokers. They can be individuals, companies and online agencies that are licensed by Securities and Exchanges Board of India (SEBI). After hiring a broker, be it an individual, online agency or company, you now need to open Trading and Demat accounts. The Demat account is used to hold the shares or stocks that you’ve purchased and it will reflect in your portfolio. The selling and buying of stocks or shares will require a Trading account, usually your broker takes care of this. Trading and Demat account should be opened simultaneously as one without the other is useless. There are two depositories in India – Central Depository Services Limited (CDSL) and National Securities Depository Limited (NSDL). The shares stored in electronic form are managed by these two agencies. This too is taken care by your broker but you need to know about this nevertheless. Unique Identification Number (UIN) is required if you want to trade for INR 1,00,000 or more at a single time. It’s only required if you plan to invest large amount of money, not required for regular investors. 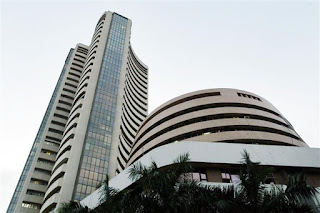 You need to inform your broker about buying or selling shares, if you’ve subscribed to an online agency then read their ‘how to buy shares online’ section in their website, you can login to their online portal and buy or sell shares otherwise call up their customer care number if internet is not accessible. Keep a track on the stock or share market price and invest smartly, the more knowledge you gain about this market, the more beneficial it’s for you in the long run.